Look what pulled up outside our gallery this week – Gavin managed to get take this picture, which is unhindered ( miraculously ) by the usual clutter of cars and vans on main street. A very large french family disembarked from it straight away – hard to believe such a car could make the journey this far west. We’ve been reliably informed that it is a Citroen Traction Avant Commerciale 11CV. These cars were built in France between 1952 and 1957 – I’d like to think that our 2006 Toyota Rav 4 will last as long but I’m not so sure.. 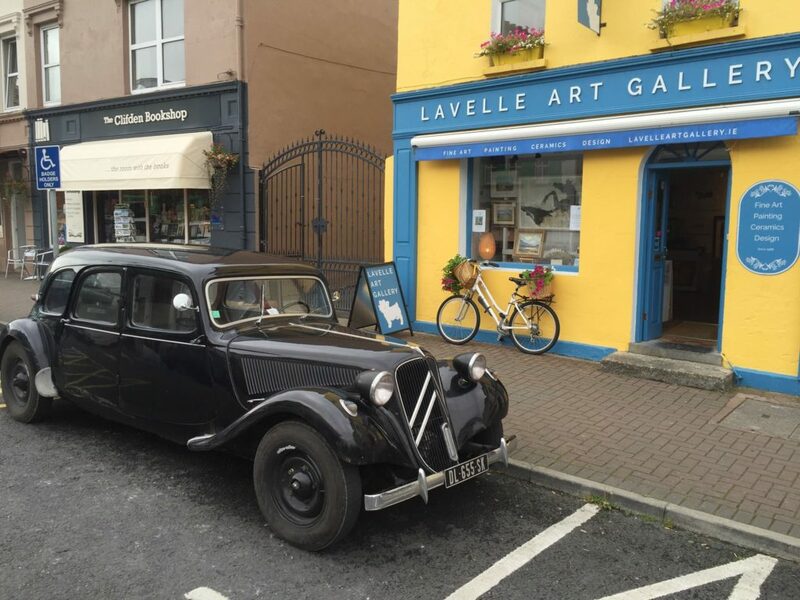 This entry was posted in Gallery News and tagged citroen, connemara, deborah watkins, french visitors, gavin lavelle, lavelle art gallery.